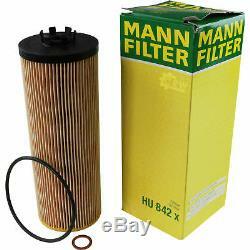 Filter set kit + 5w30 engine oil for volkswagen vw audi a4 before 8e5 b6. This product page has been automatically translated. If you have any questions, do not hesitate to contact us. 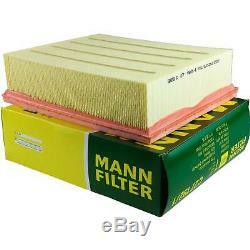 1 x air filter filter origin man. 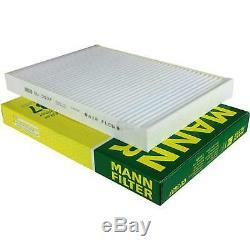 1 x original man filter cabin air pollen filter air filter. 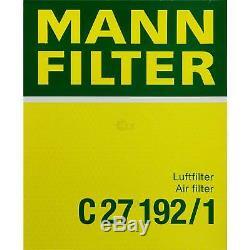 1 x original mann oil filter. 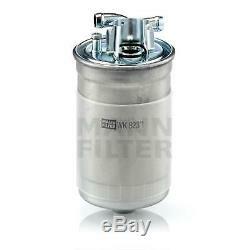 1 x original man fuel filter. 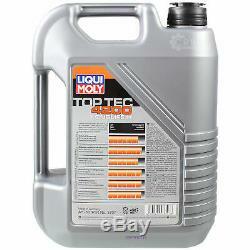 1 x 5 liters original liqui moly 3707 top tec 4200-engine oil 5w 30. 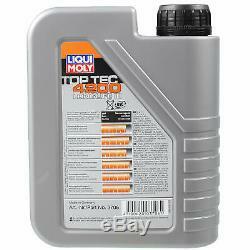 1 x 1 liter original liqui moly 3706 top tec 4200-engine oil 5w 30. 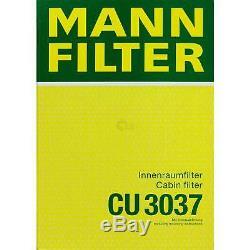 Oil filter of the original man. 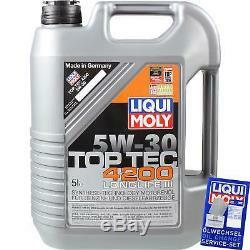 5l liqui moly top tec 4200 5w-30. Top tec 4200 is a year-round running engine oil light for gasoline and diesel vehicles, with or without diesel particulate filter (dpf) also if refurbishment. (exception: tdimotoren r5 and v10 previous year) (06.2006). In accordance with the standards resignation euro iv, v and vi. The combination of unconventional basic oils on hc synthesis technology base with regard to an engine oil guarantees the latest additives this excellent protection against wear, reduces the consumption of oil and fuel and for a fast supply thanks to the lubrication of the engine. As a result, the manufacturer's instructions can be up to 30,000 oil change intervals or 50,000 km or 2 years for small riders to realize. Top tec 4200 5w-30 is also excellent for gas passenger car (cng / lpg) use. Demand for petrol and diesel vehicles, with or without extended maintenance intervals (wiv) or hose interval, with or without aftertreatment of exhaust gases such as. Diesel particulate filter (dpf) is perfect. Be part of a motor oil of these specifications required by many vehicle manufacturers. Application mode of use of the automobile and the engine manufacturer must be observed. 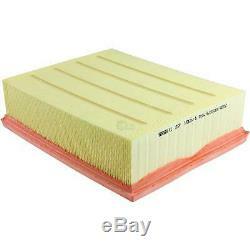 Note: the complete effect as well as that of the diesel particulate filter protection only in unvermischtem condition guaranteed! Workshop Note: In tank systems there may be more oil remaining commercially available than 5%. Catalytic converters and turbochargers tested - reduced emissions - engine running smoothly - reduces fuel consumption - fast oil delivery at low temperatures - long engine life - excellent wear protection optimum oil pressure in all operating conditions - excellent engine cleanliness - lubricating properties - optimal aging stability - high shear stability. Acea c3 api sn bmw longlife-04 mb-approval 229.31 mb-approval 229.51 porsche c30 vw 504 00 vw 507 00 acea a3 acea a5 acea b4 acea b5 acea c2 api cf bmw longlife-01 bmw longlife-01 fe fiat 9.55535 -s1 fiat 9.55535-s3 peugeot citroën (psa) b71 2290 vw 500 00 vw 501 01 vw 502 00 vw 503 00 vw 503 01 vw 505 00 vw 505 01 vw 506 00 vw 506 01 (Except engines r5 and v10 tdi before 6/2006). As part of the distribution of the combustion engine or oil filters and gear oil, we are, as a dealer, in accordance with the Waste Oil Regulations, to verify the regulations and related obligations. We suggest that this ongoing cost of oily waste is in oil filters and used oil and oil changes to hazardous, which must be disposed of appropriately. It can not be shipped without special packaging by the parcel service. Here, each cartridge must first be welded into a body insert of extra-thick film. The transfer can only special box of hazardous materials corresponding to the iata regulations, take place. 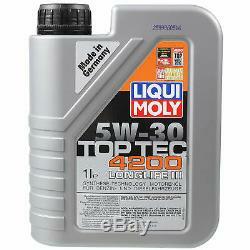 1l liqui moly top tec 4200 5w-30. 4011558205003; 4011558306601; 4100420037061; 4011558938901; 4011558290504; 4100420037078. Mb 229.31; bmw longlife-01; bmw longlife-01; mb 229.31; vw 500 00; vw 502 00. Vw 503 01; vw 506 00; api cf; acea b4; acea b5. 3706; 3707; c 27 192/1; wk 823/1; hu 842 x; cu 3037. 059 115 561 (a); d 057 127 435; 06c-133,843; 059 127 401 f.
8e, 819,439; 059 115 561 b; 059 127 401c; 057 127 401 (a); 059 115 562; 059 127 401 e. These figures are for comparison purposes only. Service, servicekit, inspektionskit, wechselset, wechselkit. Wartung & pflege / inspektion. Acea a3, acea a5, acea b4, acea b5, acea c2, acea c3, api cf. Vw 507 00, bmw longlife-01, bmw longlife-01 fe. The item "filter set kit + 5w30 engine oil for volkswagen vw audi a4 avant 8e5 b6" is for sale since Monday, February 18, 2019. 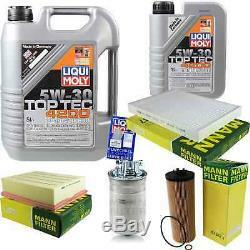 It is in the category "auto, motorcycle parts, accessories \ auto \ parts \ kits revision". The seller is "auto-carparts24" and is located in leipzig. This item can be shipped to the following countries: America, Europe, Asia.